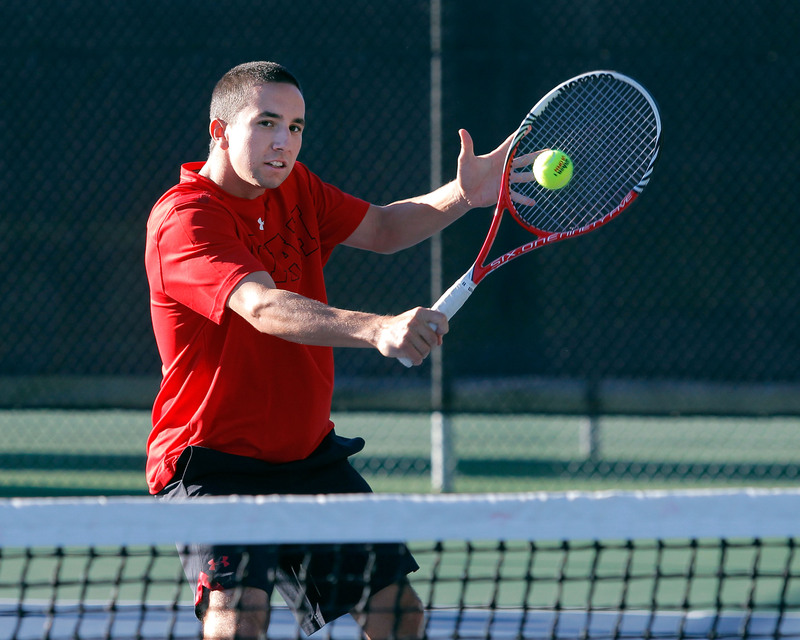 The University of Utah men’s tennis team (10-3) is ranked 53rd in the latest ITA Division 1 rankings. The Utes went up in the rankings after beating then No. 44 ranked Nebraska in Lincoln, NE. Utah hits the road this weekend and will play two matches in Lav Vegas, Nev. The Utes will face UNLV (4-6) on Thursday, March 13 at 2 p.m. PT and No. 70 Marquette (9-4) on Friday, March 14 at 11 a.m. PT. Both matches will be played at Fertitta Tennis Complex. The UNLV Rebels hold a 4-2 record at home, but have lost their last five dual matches. Their most recent loss came on the road at Cal Poly. The Marquette Golden Eagles have yet to play a neutrally located match this season and have a 0-1 record against nationally ranked opponents. This entry was posted in Schedule/Results, Uncategorized and tagged Marquette, UNLV, Utah Tennis. Bookmark the permalink.